Place romaine hearts on plate. Spray avocado oil in skillet and add turkey. Cook on medium until cooked thoroughly. Add the cooked turkey to the lettuce and top with remaining ingredients. 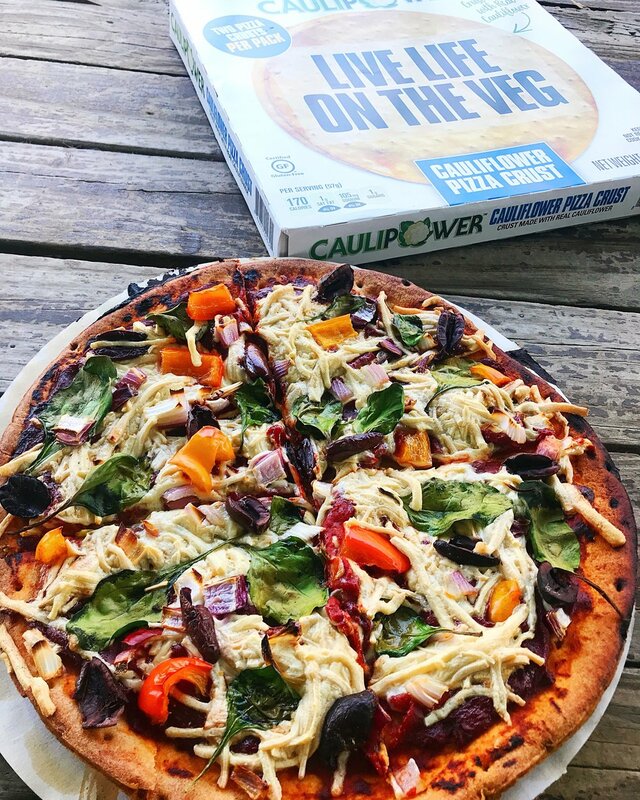 Thaw cauliflower crust if frozen. Preheat a pan with 1 tsp oil. Bake at 425° for 12 - 15 mins. Sprinkle with cayenne (if desired). Cook minced garlic, EVOO, salt and pepper in a skillet or fry pan over medium heat for 5 minutes or just until the garlic browns a bit. Prepare lentil pasta according to package instructions. The pasta I used called for a 6 minute cook time then I rinsed it with room temperature water. Cook black bean pasta as indicated on box. Boil the beetroots without peeling. When they are soft enough, take them from fire, wash and peel. Mix strained yogurt, mayonnaise, salt and mashed garlic until combined very well. Then add the beetroot and chopped fresh dill. 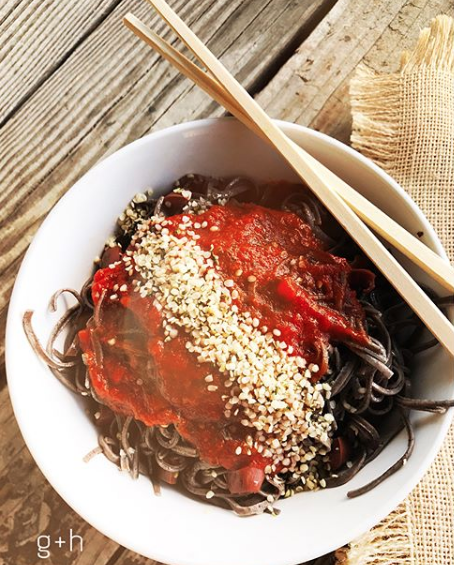 Mix in black bean pasta and enjoy! Bake as directed and enjoy! Drain water from pot and allow the noodles to cool. Top with spahetti sauce and hemp seeds and enjoy! Cut zuchinni long-ways and using a spoon carve out a divet (like a boat) where ingredients will go. 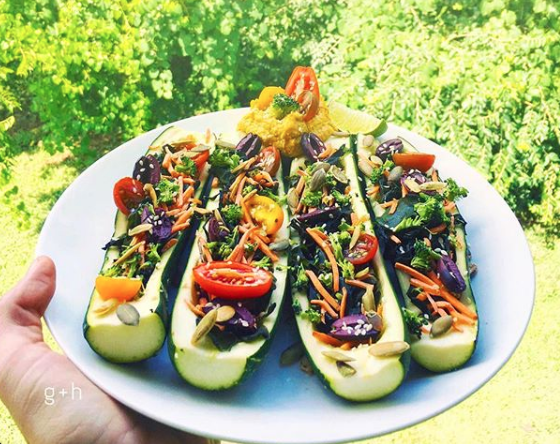 To enjoy raw, drizzle the EVOO in the bottom of the zuchinni boats and add remaining ingredients. You can cook the zuchinni in the oven at 350 degrees for 20 minutes, until lightly browned and soft with or without the remaining ingredients if you prefer to enjoy warm. Eat like a taco! It's a messy meal, but totally worth it!